Welcome to Day 1 of Inspired by Stamping, June Release Hop. This month's release is spectacular!! I am seriously...They are AMAZING!! There are two sets being showcased today and I am showcasing Big Congrats stamp set. This 3×4 stamp set contains 6 different sentiments. The photo above shows two sentiments. Congratulations is extra big and stands alone. The other 5 sentiments are separate and great for stamping in a different color or creating a longer sentiment. So in addition to the sneak peek, here is my sample card using this new and my favorite stamp set. My hairdresser just got engaged and this stamped set, made perfect timing for me to make this card. Is this not just amazing...Seriously!! We all know so many folks around us that are either having babies or getting married!! Right?!?! Well this new stamp set covers 5 important events, that takes place in everyday life. I am falling in love with these wood veneers too! I could not resist using the bird cage and two birds, to emphasize the love between these two couples. I also used the word "LOVE" from Little Flowers stamp collection. I did this to show you how wonderfully these stamps correlate with any of the other stamps sets carried at Inspired by Stamping. So are you getting excited?!?! Here is the line up for today's hop and who is showcasing today's new releases. June 6th - June 10th, we will be giving away blog candy. Winner will be announced daily on the June Winner Page @ 7pm Brisbane the following day. You must leave a comment to be eligible to win on Joann's Blog. 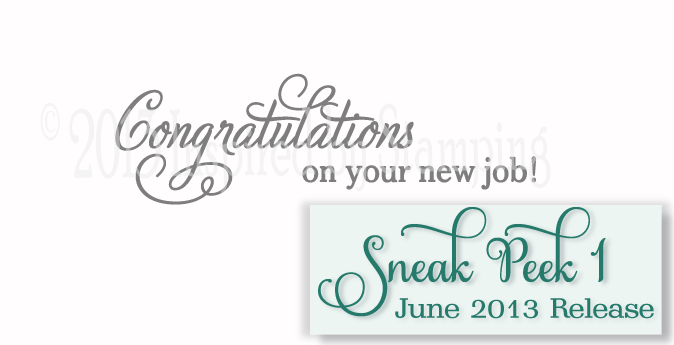 June 10th, will be the full release on Joann's blog. Free shipping will be available on all orders $25. This will start on the 10th and will be available for only 48 hours, June 10th- June 12th @ 7pm Brisbane the following day. The entire June Release will be available as a bundle, for a 15% discount. Beautiful card, love the added bird cage and kissing birds!! Super adorable. Love the colors and papers. Oh, I LOVE this! The elements all come together beautifully on that fabulous, happy paper! A wonderful card, Nazeema! Great job! beautiful card, your hairdresser is going to love it. Love love love it. And, I just used that same paper pack yesterday for a card. It's very pretty! I love the print that you chose from the set. To get fast fund, you assets order of payment diminutive business organisation loans. to 1500 pounds and have easy refund price and conditions. citizenry may feel the need just aleatory and ambivalent. lot more (two weeks), we get a low fee day loan. bit hard for them on hand and bank loan not easy to reach. People may need commercial enterprise aid dodge is its refund term. Simply adorable! Love the little wooden accents. so pretty. The birdcage accent is super cute. Your card is beautiful! Love the papers and the cute bird cage with the lovely birds. Thanks for joining us at Loves Rubberstamps this week! OMGosh the paper, the birds, the cage and the fabulous design. LOVE this. Thanks for playing with us over at Loves Rubberstamps!! !